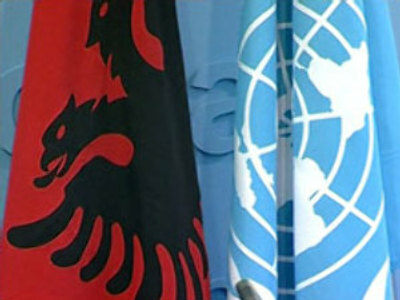 Formally a part of Serbia, Kosovo has been under UN administration for the last eight years. Its leadership is threatening to declare independence on Monday. Serbia, backed by Russia, continues to object. It's offering the province autonomy instead. The stand-off threatens a return to the overt conflicts that have plagued the recent history of the Balkans. Predominantly Muslim, with over 90% of its population ethnic Albanian, Kosovo has not been ruled from Belgrade since its separatist war with Serbia ended with NATO intervention in 1999. The uncertainty of its status has hampered political and economic development. Independence, which is desired by the vast majority of Kosovo’s inhabitants, would change that. But Christian Orthodox Serbia regards Kosovo as its historical and religious heartland. Moreover, more than 100,000 ethnic Serbs remain in Kosovo and there are fears they may face increasing discrimination. “I'm not a politician and I'm not pretending to be clever but if there is independence, Serbs will leave,” said Novica Cuckic, a Kosovo Serb farmer. Ahead of the troika's report, the Serbian Foreign Minister Vuk Jeremic said that while his country had the right to use force “if the territorial integrity as well as the constitutional order are put in jeopardy”, it will not do so. “We strongly believe that everything needs to be done to maintain peace and stability in the region,” Jeremic said. The U.S. and most European Union countries have supported Kosovo’s eventual independence. Russia has staunchly backed Serbia and believes that a dangerous precedent is being created. He added that the only body empowered to decide on the final status of Kosovo was United Nations Security Council. Asked how Moscow would react to a unilateral declaration of independence by Kosovo, Lavrov said Russia would act in accordance with international law and that the government would expect other members of the international community to operate on the same basis. The Russian minister warned that giving independence to Kosovo could send the wrong signal to other separatist regions, including Georgia’s republics of Abkhazia and South Ossetia. Lavrov said it’s not up to the West to decide whether or not Kosovo becomes independent. Meanwhile, Russia's Ambassador to the UN says a solution to the problem could have been reached. At a news conference in New York, Vitaly Churkin blamed the Kosovo leadership for failing to engage with the talks. “Unfortunately the Pristina leadership was not showing flexibility in response to the far-reaching proposals of Belgrade. One must point out that to a large extent they were distracted by continued promises of independence coming from other countries and politicians, which is very sad,” Mr Churkin said. As Serbs and Albanians brace themselves ahead of Monday’s deadline, at least one person has been injured in clashes between Serb villagers and NATO peacekeepers in the west of the province. The incident occurred some 90 kilometres west of the capital Pristina. A group of Serbs crowded around two NATO officials travelling to Serbian villages to reassure locals of their safety. Both officials escaped unhurt. NATO, responsible for security in Kosovo, has promised a heavier military presence in the coming months.